After over a month, the reward has been raised for information on the death of a Gloucester Township woman. The reward now stands at $20,000 to help authorities figure out how 59-year-old Carol Reiff died. 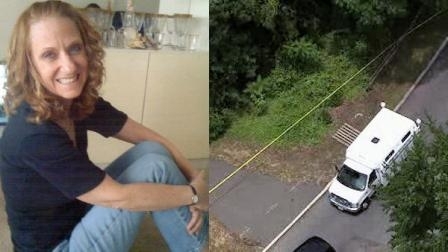 Reiff's body was found in a wooded area near her home in the Lakeview Apartments four days after she was reported missing. Investigators have not determined a cause of death but are treating the case as a homocide. Reiff's employer, Admiral Insurance Company, added $9000 to the fund. Her daughter and family simply want to know what happened. Anyone with information is urges to contact Gloucester Township Police or the Camden County prosecutor’s office. Eight people, including three children, were injured when a row home exploded and collapsed in South Philadelphia this morning. The incident occurred at 11 am in the 400 block of Daly Street. City officials say that natural gas was the cause of the blast. A contractor was working in the basement of 428 Daly Street. That house was undergoing renovations and was unoccupied. At the time of the explosion he was fixing a water heater. That man suffered serious burns and was taken to Temple University Hospital. The other seven were taken to Jefferson and have since been treated and released. The city will now determine the source of the gas leak. They do note that 428 Daly did have construction permits. Donovan McNabb made it official today retiring as a member of Philadelphia Eagles. Eagles’ owner Jeffrey Lurie also announced that the team will retire McNabb's uniform number 5. He will be honored on September 19th at halftime when the Kansas City Chiefs come to town. Andy Reid, now coach of the Chiefs, drafted McNabb in 1999 to a chorus of boo's. Number '5' went on to lead the team to five NFC Championship games and a Superbowl appearance. He leads the franchise in numerous statistical categories and six-time pro bowler, but even he admits that just coming close to the championship isn't enough. "I apologized to the fans because that was my goal. I feel like I let them down," McNabb said. Despite not winning the Lombardi trophy, McNabb led this team through the most successful period it has ever seen. Nobody's perfect (except Brad Lidge of course).